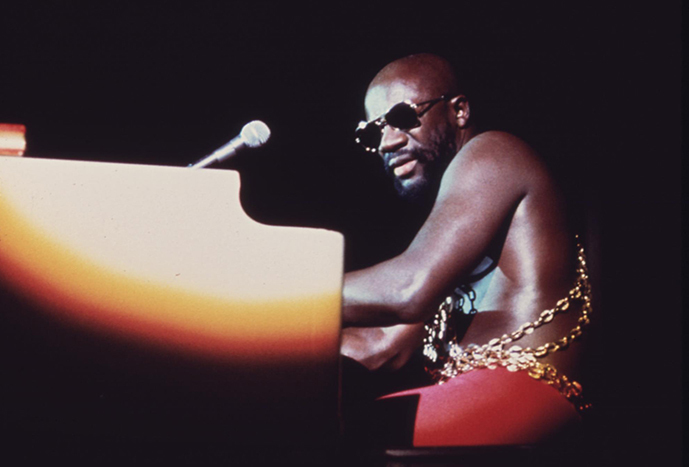 On February 8, from 1:30 to 3:30, the LPJ Center features Oscar and Grammy-winning composer, singer, and musician Isaac Hayes (1942–2008). View the complete HistoryMakers interview! When his grandfather died in 1953, eleven-year-old Isaac became a bread-winner. Among his many other jobs, Hayes delivered groceries, cleaned bricks “for like a penny a brick,” chopped cotton, picked peaches. Reaching puberty, he became self-conscious, noticing, “‘Hey, I got holes in my shoes. I got patches in my pants.’ I was so intimidated, I dropped out of school.” However, a guidance counselor took an interest in the promising student and loaned him her husband’s coats and shoes that he made fit by stuffing newspaper in the toe. “I looked like a scarecrow,” says Hayes, but he stayed in school. In the interview, Hayes tells how the assassination of Dr. Martin Luther King, Jr. in Memphis “messed me up a little bit, big time messed me up, really. I joined with a barber in North Memphis named Warren Lewis. We formed a group called the Black Knights. And we started challenging the administration in this city. 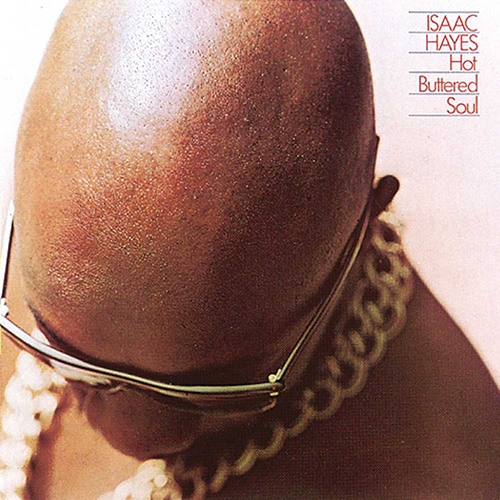 We challenged them about police brutality, unequal employment, unequal housing.” In the same year 1968, Hayes released his album Hot Buttered Soul that went gold, then platinum, “breaking the rules [with] the rapping that I did, talking on top … I had no idea what I was doing. I was doing something that felt good to me.” A security man, Dino Woodard, told Hayes, “You’re like leadin’ the People … You Black Moses.” Hayes thought the label was sacrilegious and resisted using it at first, but it caught on and he came to embrace it. This entry was posted in Black History Month, Exhibit, Featured Resource, News and tagged African American, awareness, Civil Rights, history, HistoryMakers, online resource, research, Teaching & Learning by Mitch Farish. Bookmark the permalink.